The 2018 Jeep Wrangler JL is a new Jeep offering for 2018, so we are giving you the rundown with this model review. Just as enthusiasts loved the JK special Wrangler edition, new buyers will be enthralled with the all new replacement for the JK. If you are looking for a Wrangler but want to take it to a whole other level, the JL has you covered. It is being offered for the first time this year with a lot of new innovations and upgrades, but it still stays true to the company name and heritage. This model review will give you the rundown of what you will find at Boulder Jeep when you come down to check out the 2018 Jeep Wrangler JL for yourself. 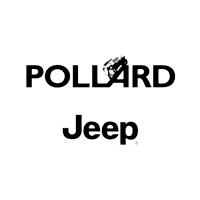 There is plenty to explore at Boulder Jeep serving Boulder Denver Longmont Thornton. The Wrangler JL features the trademark Wrangler removable doors and top. The JL also makes it easy to take the top down or even fold down the windshield and take off the doors compared to the JK. It also offers 9.7 inches of ground clearance for off road adventurers. The body design doesn’t differ much from the previous JK, but the JL has updated headlights and taillights. The Jeep enthusiast will also love the side-hinged tailgate and optional soft top. If you are in the area, come down to Boulder Jeep to check this hot new offering out. The Wrangler JL also comes in a four door configuration to allow you to bring friends on your adventure. The modern interior of the Wrangler JL incorporates traditional features in a more refined state. You can even add optional ambient interior lighting and heated steering wheel as well as a standard five inch touch screen infotainment system that can be upgraded to seven or 8.4 inch screens. With its upright seating and commanding view of the road, the Wrangler JL offers more headroom than a Chevy Colorado Crew Cab or a Toyota 4Runner with 42.6 inches of headspace. You can also opt for a full backseat in the 4 door model where you will again have ample 41.7 inches of headroom. There is also decent cargo space in both the two door and four door models. They both offer fold flat back seats to let you store a lot of gear. The Jeep Wrangler JL offers improved acceleration compared to the JK and also handles much better than its predecessor. It also gets better overall gas mileage than the Chevrolet Colorado or the Toyota 4Runner. With the V6 and automatic transmission,the Wrangler JL gets 18 city /23 highway while the manual transmission gets you 17/25. This SUV has power and efficiency to spare. The 2018 Jeep Wrangler JL comes standard with a 3.6 liter V-6 engine with 285HP. It is available with a six speed manual transmission or a eight speed automatic version. Even more exciting is the all new Selec-Trac system available in upper trim models. Selec-Trac replaces the standard manual four wheel drive with an automatic all wheel drive system to keep you firmly on the ground in any conditions. The warranty on the all new Wrangler JL is a 3 year or 36,000 mile limited offering with the powertrain being covered for 5 years or 60,000 miles. You won’t find a better warranty even on the Toyota 4Runner. All new for 2018, the Wrangler JL offers optional Active Safety Features including rear cross traffic alert, blind spot monitoring and rear parking sensors. These features can be added individually or as a package for one low price. The JL also comes standard with front and side airbags. All Wranglers come with manual four wheel drive to ensure added safety in snow and rain, and the Selec-Trac system that is now available allows the driver to select a drive mode and let the vehicle do the rest. If you are looking for the type of adventure seeking excitement only a Wrangler can provide, the JL offers a variety of trim levels including Sport, Sport S, Sahara and Rubicon with lots of options to choose from including two and four doors and upgradable touchscreen infotainment systems. As a new offering for 2018, the design details and technological upgrades make the JL a very attractive new vehicle. Now that the JK is a thing of the past, look for the JL to take its place with great features and some surprising engine options in the years to come. For now, this model review only scratches the surface of what the JL offers. The JL provides the durability and ruggedness that comes standard with every Wrangler we sell. You can learn more at the dealership, serving Boulder Denver Longmont Thornton. *2018 Jeep Wrangler JL Review for general informational purposes, for complete details please contact the dealership.